Ultimate Ears MetroFi 170vi review | What Hi-Fi? 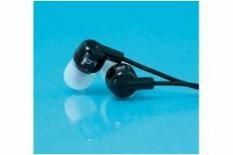 The Ultimate Ears MetroFi 170vi earphones have a mic of reasonable but unspectacular quality sitting at cheek level on the right-hand cable, and a one-button control just below the Y-section. You get three pairs of buds, and, despite the chunky design, these are among the most comfortable and secure-fitting earphones we've seen for a while. They produce impressively deep bass, but it's also a bit ponderous and over-bearing, while treble frequencies lack a degree of control. Vocals are warm and clear, but the overall lack of attack is a shame.